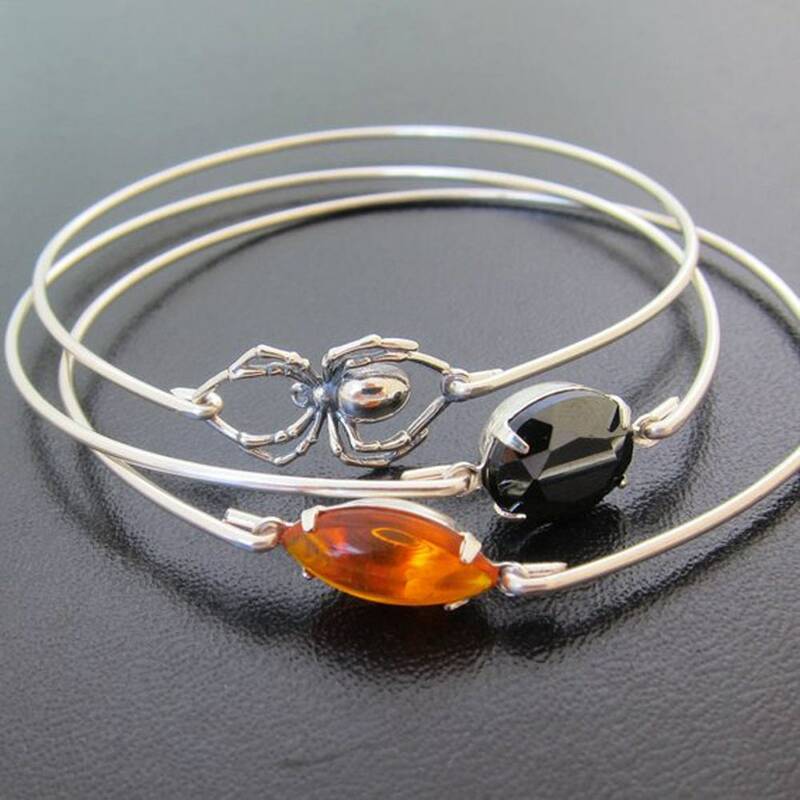 A sterling silver spider charm has been transformed into a spider bangle bracelet with choice of silver filled or sterling silver bangle bands... 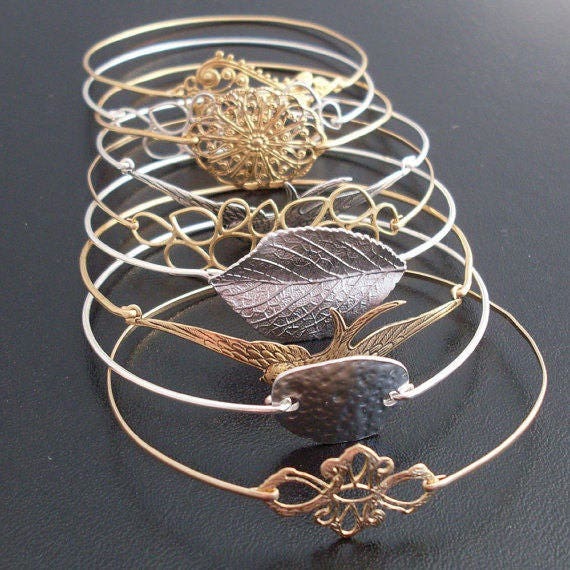 Perfect for that Halloween jewelry accessory. 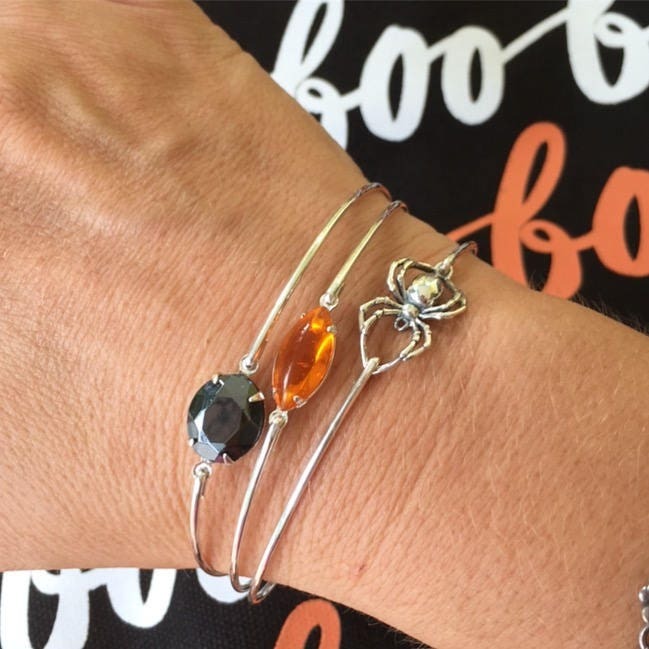 This Bracelet has been paired with an orange and a black vintage glass stone bracelet for the ultimate Halloween bracelet set of 3. 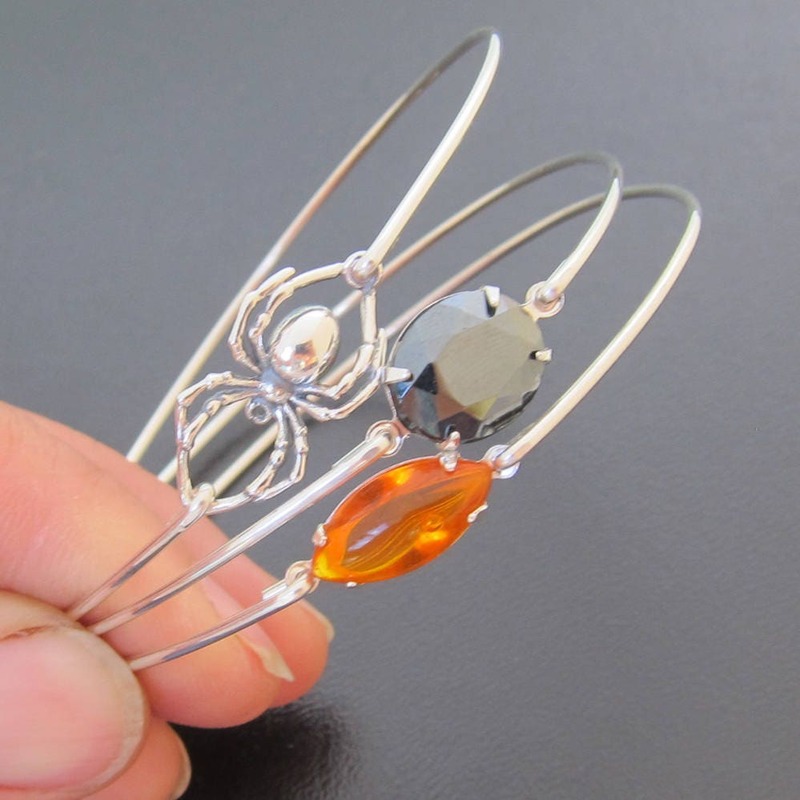 This spider jewelry created and hand crafted with great care and love for you and yours. All of my items are special handmade creations that are based on original Frosted Willow designs and concepts.